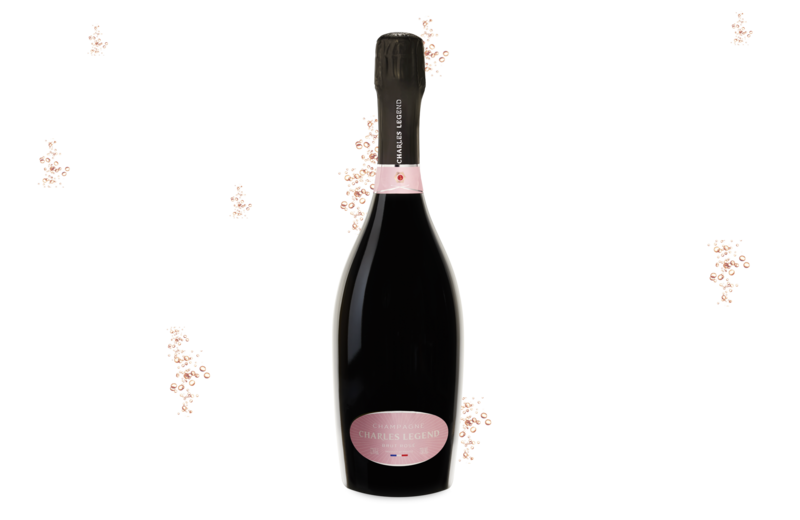 This Brut Rosé champagne is made from a single grape variety, the Pinot Noir, which gives it strength and elegance. This champagne, more winey than other rosé champagnes, will charm and amaze all palates, even the keenest. Flattering and round in the mouth, Rosé Charles Legend reveals notes of grenadine and a sweet side. In the finish, revealing a hint of vanilla. Offering a sensual and delicate woody nose with flavors of cherry, pink, red berries such as currants, and some sweet spices. This Brut Rosé Champagne has a nice salmon color.